Fox’s Pizza Den is a restaurant chain specializing in pizza and other Italian dishes. Headquartered in Murrysville, Pennsylvania, it has approximately 250 locations in 28 states. 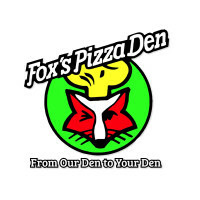 Please refer to the Fox’s Pizza Den application link at the bottom of the page to apply online. You can download a free printable application form to get started. Founder Jim Fox opened the first restaurant in a rented storefront in Pitcairn, Pennsylvania in 1971. The company is family owned and operated and serves pizzas, strombolis, hoagies and salads. The company prides itself in delivering authentic dishes handmade from quality ingredients. It is often listed among the Top 25 pizza chains in the world. All locations are franchise-operated. As the company grew, an online communication system was developed to encourage easy communication between headquarters and the franchisees. A newsletter is sent to keep franchisees updated on new developments and information, and an online forum was created to keep the franchisees in touch with each other. The franchising network that Fox’s has created has contributed greatly to the success of the company. Because franchisees are able to easily share information, it becomes clear what works and what doesn’t in terms of business strategy. The headquarters are very hands-on in helping the franchisees, assisting with site selection, strategy, finance issues, advertising, and equipment installation. There are various management opportunities available throughout the company’s locations. Managers are expected to provide leadership and direction to the team, exhibiting the professionalism that contributes to the integrity of the brand. Attractive candidates will have a passion for the industry and will possess exceptional hospitality skills. Management job opportunities are: Franchise Owner, Manager and Assistant Manager. There are also non-management positions available. All employees are expected to be friendly and professional, taking pride in the business. All associates must be able to work in a team-oriented environment and do their part in keeping store operations flowing efficiently. The non-management positions include: Team Member, Delivery Driver and Server. How old do you have to be to work at Fox’s Pizza Den? You must be 16 years of age to be considered for employment. For upper-level positions, experience and education requirements vary amongst franchises. For more information on these requirements, contact the store to which you are applying, and gather any pertinent information on job details before you apply. Associates work in a business that is driven by a team, so positive attitudes are a must. The company strives to ensure that each work environment is energetic, fun and encouraging. There are career advancement opportunities at every location, and employees are encouraged to learn as many skills as they can in order to continue succeeding in the business. Associates are also offered food discounts and flexible hours. The process for how to apply for Fox’s Pizza Den jobs online includes a printable application form for Fox’s Pizza Den. First, find the location where you wish to apply for jobs at Fox’s Pizza Den. The first application link will direct you to the page for Fox’s Pizza Den job application online. The second link takes you to a printable version of the direct application. Manager – As the Manager, you will be responsible for setting a friendly and inviting atmosphere for your store. You must be willing to work in an energetic, exciting environment while exhibiting excellent customer service skills. You’ll need to be a people person who can motivate your team to meet the company’s high standards of exceptional hospitality. Team Member – Team members can either work as a server or as a cook. You must be friendly and energetic, with strong face-to-face customer service skills. You’ll be expected to be punctual and have good communication skills. You must be able to work well with others and contribute to team-building efforts. Delivery Driver – As a delivery driver, you must possess a reliable form of transportation. You’ll need to be able to work independently and exhibit strong customer service skills. A clean driving record is a must, as the company is looking for safe drivers who have a good sense of direction. Server – Servers are the associates the customers will interact with the most, as they will both greet the customers and continue to serve them throughout their visit. You must be friendly and maintain a positive, helpful attitude. You need to be able to thrive in a high-energy, and sometimes high-pressure environment. Why are you interested in this job? You can be ready for this answer by doing some research on Fox’s Pizza Den careers ahead of time. If you are unfamiliar with the company, go to their website and become familiar with their principles, core values and history. That way, you can explain the things that strike a cord with you, which will make it more likely that you’ll establish a connection with your interviewer. What are your weaknesses? Be honest, but don’t dwell on the negative. Use positive terms. For example, instead of saying, “I’m not good with time management”, say, “I am always looking for ways to effectively manage my time and increase my productivity”. Why should we consider hiring you? Talk about what makes you special, the qualities that set you apart from the crowd. Give a summary of your experience and skills and speak passionately about how your skills will benefit the company. For example, all employees are expected to perform in a teamwork-oriented environment. If you have worked successfully in a similar environment, emphasize that experience and give concrete examples of how you performed well. The employer will be looking for positive, energetic people who work well in a team, so smile and show that you’re happy to be considered for the job. Be clear and concise with your answers, and be confident. Make eye contact, demonstrate politeness, watch your body language and be professional. A dress shirt, slacks and a tie are elements of an appropriate outfit for a male interviewing for a mid-to-upper level position. For women, a modest dress, skirt and blouse, or pantsuit will suffice. Those seeking entry-level positions should dress in business casual attire. Come properly groomed, with a tidy appearance. Trim your hair and nails and don’t go overboard on fragrance and makeup. When the interview is complete, your interviewer will likely ask if you have any questions. Be prepared ahead of time. Think of a few open-ended questions (not about salary or benefits) about the industry or position that will encourage conversation between you and your interviewer. By having questions of your own about the job, you are demonstrating authentic interest in the company. Also, inquire about the best way to check up on the hiring status. Remember to thank your interviewer for taking the time to meet with you. Be quick to offer a firm handshake and a broad smile. Wish the interviewer a good day and make sure that you walk out with good posture. All of these things should leave your interviewer with a positive image of you and give you a great jumping off point to start your new career. Miller’s Ale House: Checkout the application page for work at Miller’s Ale House. Hungry Howie’s: Use the Hungry Howie’s job application to apply here. Rock Bottom Brewery: Visit the Rock Bottom Brewery application. Pizza Inn: For career opportunities, fill out the Pizza Inn online application. House Of Blues: See our resource page for more information on House Of Blues careers.